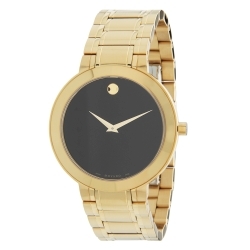 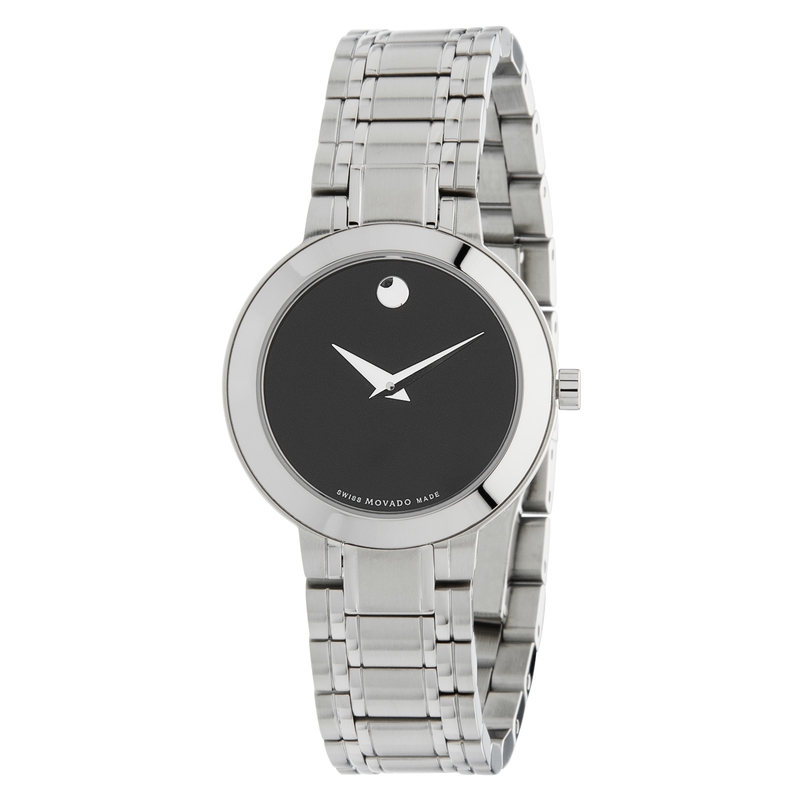 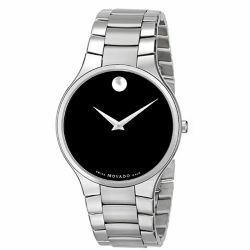 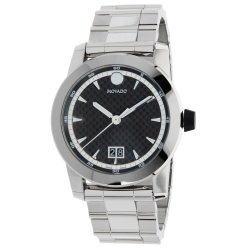 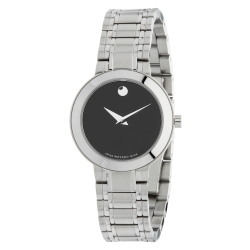 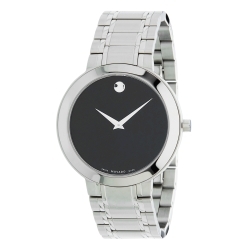 Movado 0607280 Women's Stiri Black Quartz Watch. 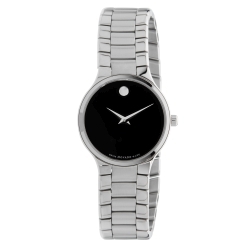 This Movado Stiri timepiece for women features the utterly recognizable minimalist look of the Museum Watch made famous by American designer Nathan George Horwitt in 1947. 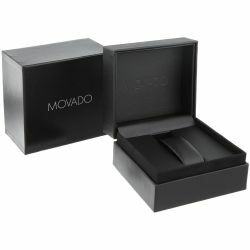 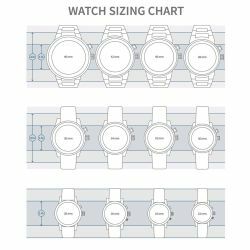 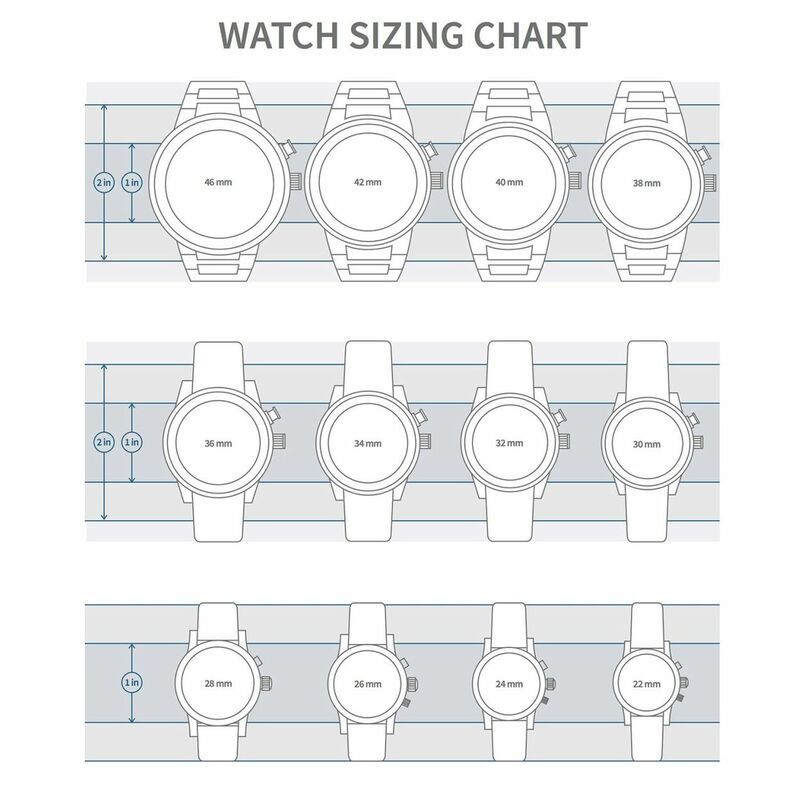 It's paired with a stainless steel bracelet band that mixes larger brushed links with polished accents and it's connected via a hidden butterfly deployment clasp.